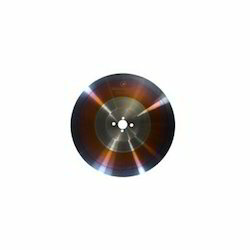 Pioneers in the industry, we offer hss power 2000 saw blade, hss power integral saw blade, hss supreme saw blade, hss ec 3000 saw blade, hss steam ex saw blades and hss fusion saw blades from India. Suggested cutting Speed 60-120 m/min. 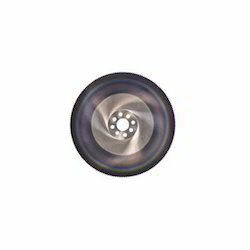 As an affluent name of this domain, we hold expertise in presenting high quality HSS Power 2000 Saw Blade. 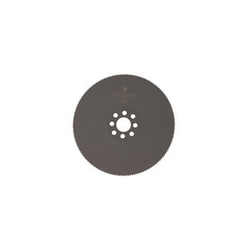 This saw blade is equipped with outstanding inside tooth and outside diameter jaw efficiency. Our professionals have manufactured this saw blade applying precision engineering that assure perfection in weight, length, diameter, distance, and height of centre thickness. The rapid advance and retreat for saw blade carriage capacity is incredibly excellent. Along with it, clients can get the saw blade at cost effective price from us. Suggested cutting Speed 60-180 m/min. We are the prominent entity of this domain engaged in offering a wide spectrum of HSS Power Integral Saw Blade. This saw blade finds wide application use in stone companies, and hard industry sector. High performance orientation and accurate production is the most imposing feature of the saw blade. To offer an excellent production from the saw blade, our professionals manufacture the blade using quality stainless steel and opt for strict quality checks. This saw blade offers accuracy, circular degree, alignment, power distribution and chucking grinder tooth. We feel proud to introduce ourselves as the leading organization in this domain, engaged in presenting an excellent grade HSS Supreme Saw Blade. This saw blade finds wide application use with various stone companies where granite gang saw slabs are require to cut to size. The offered saw blade offer high energy-saving tooth that easily cut the materials, parts or stone saving 20-30% of machine power. In order to provide better cutting process, this saw blade is manufactured adhering to industry standards. Also, clients can get the saw blade from us at industry leading rates. Fostered with the short time experience, we are engrossed in presenting HSS EC 3000 Saw Blade. The saw blade is designed for cutting cylindrical or conical external surface with accuracy. 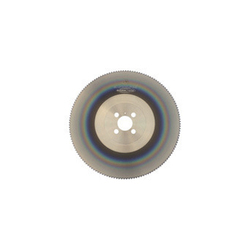 This saw blade is found most appropriate for batch production. Our professionals have equipped the saw blade using progressive cutting teeth, rigid jaw technologies, and robust surface thickness in order to make this blade highly productive. This saw blade is developed using advanced technology that helps in increasing and modifying the production according to market demands. Material steels and non-alloy tool steel with a tensile strength up to 700 N/mm2. Suggested Cutting Speed 30-60 m/min. 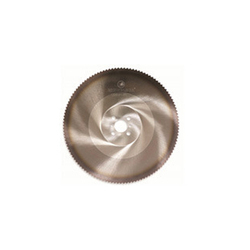 Backed by our years of industry experience, we are betrothed in offering an excellent quality HSS Steam EX Saw Blades. Our engineers manufacture the given saw blades applying precision mechanical engineering that assure accuracy in weight, length, diameter, distance, height of centre, and thickness. The rapid advance and retreat for cutting capacity is incredibly excellent. Apart from this, clients can also get the saw blades from us at industry leading rates within the stipulated time. Parameters Suggested cutting sped: 100-180 m/min. Feed: 0,04 - 0,15 mm/tooth. Since our inception, our firm is affianced to present a premium quality array of HSS Fusion Saw Blades. 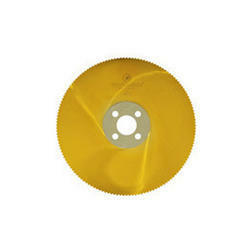 These saw blades are used in multi-cutting industrial purposes. To ensure that the saw blades meet the demands of the cutting parameters; our engineers track the manufacturing process and adhere to industry standards during the fabrication. 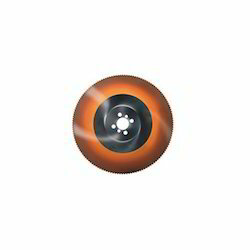 The profile alteration and axial modification applied to saw blades, which effectively improves the performance by reducing the friction and noise of tooth with load. As a trust worthy organization of this domain, we are committed to offer our clients a superior quality assortment of HSS Performance Saw Blade. The offered saw blade is equipped with several similar tooth and jaws. These teeth are forging, tempering, finish turning, drilling, shaping, cutting and boring. This saw blade is made of using advanced technology that helps in increasing and modifying the production according to market demands. Clients can get the saw blade from us within the stipulated time period. Suggested cutting speed: 100-180 m/min. Feed: 0,15 mm/tooth. With the comprehensive industry knowledge of allied domain, we are engaged in offering a superior quality range of HSS Alpha Saw Blade. The saw blade is equipped with latest technology and techniques tooth and jaw that aid in increasing the productivity. High torque assists and efficiency to pressure heavy in extra load enhancing the production in the unit. 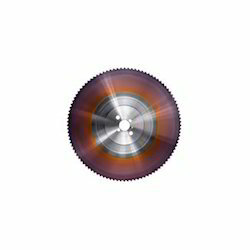 The process alteration and axial modification implemented to saw blade. Also, the cutting efficiency procedures of the saw blade enhance performance of the machine. Suggested cutting speed: 30-60 m/min. With phenomenal market understanding, we are able to offer an extensive range of HSS Solar Saw Blade. This saw blade is processes forging, tempering, finish turning, cutting, and shaping. The given saw blade is urbanized using superior technology that assists in rising and modifying the production according to market demands. Along with it, clients can get the saw blade in custom specifications within the stipulated time period. Suggested cutting speed: 80-140 m/min. Feed: 0,04-0,09 mm/tooth. Looking for HSS Saw Blades ?